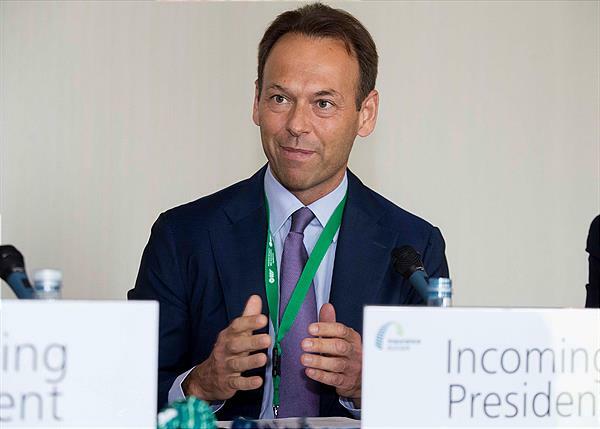 At the general assembly of Insurance Europe, the federation representing the interests of European insurance and reinsurance companies, held in Madrid yesterday, Andreas Brandstetter, CEO of UNIQA Insurance Group AG (UNIQA), was elected as president for the next three years. “As a result of underinsurance for natural disasters, only a third of the losses totalling €280 billion in 2017 were covered by insurance. Underinsurance for pensions represents an irresponsible national economic risk that European governments are currently imposing on our children and grandchildren. Based on the demographic development and rising life expectancy, this ‘pension gap’ is estimated at €59 trillion globally. We want to encourage European legislators to be open, to seek solutions in line with their long-term responsibility and to set incentives that motivate European citizens to take out private pensions,” says Brandstetter. The UNIQA Group is one of the leading insurance groups in its core markets of Austria and Central and Eastern Europe (CEE). Around 20,000 employees and exclusive sales partners serve over 9.5 million customers in 18 countries. UNIQA is the second-largest insurance group in Austria with a market share of more than 22 per cent. UNIQA operates in 15 markets in the CEE growth region: Albania, Bosnia and Herzegovina, Bulgaria, Croatia, the Czech Republic, Hungary, Kosovo, Macedonia, Montenegro, Poland, Romania, Russia, Serbia, Slovakia and Ukraine. The UNIQA Group also includes insurance companies in Switzerland and Liechtenstein.